Changes are coming to your learning platform for the start of the 2018/2019 school year. 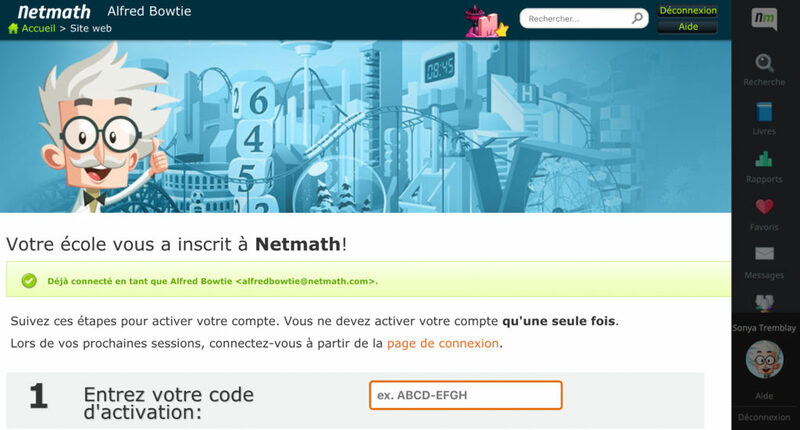 The new version of Netmath is being rolled out bit by bit. We have redesigned the platform to offer you a new experience and some improvements are already visible. Let’s begin with the sign in page and account activation. Password errors are now a thing of the past! Your Netmath sign in page has had a new look for a few weeks now. The design and the animation of everyone’s favourite Alfred set the tone for the changes planned for the platform. Now, you have the option to display the password that you enter to avoid any errors and connect more quickly. No need to search for your activation codes: they are there! Yes, there, right in front of you, on the home page, and only for your groups! 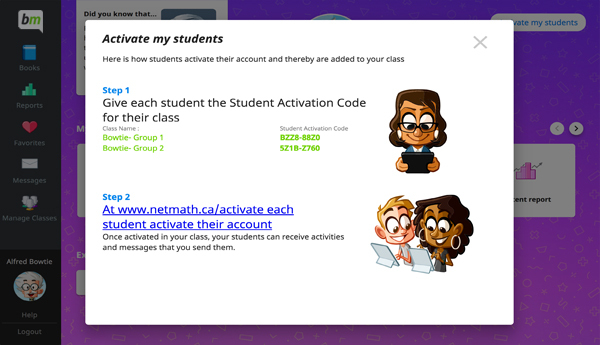 We’ve revised how your students’ activation codes are made available: now they are displayed on the first page so that you’ll never have to search for them again. This should also help prevent errors (student activated by a teacher’s code and vice versa). 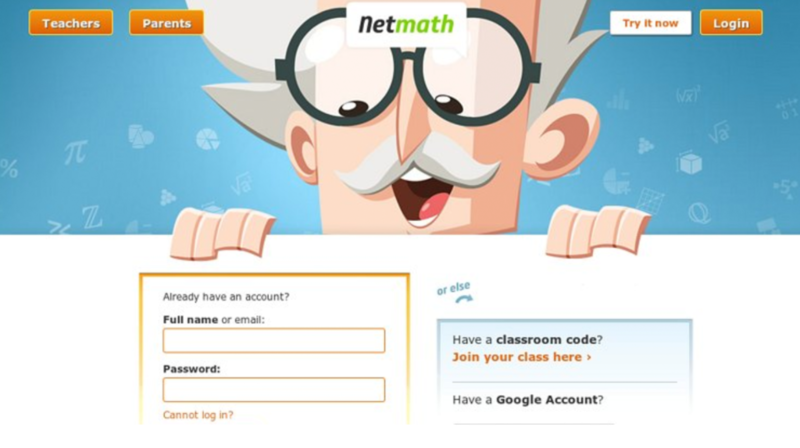 Follow the steps on the screen and set sail on the Netmath adventure with your class in no time! Connected, activated, and ready to play! Have a great school year on Netmath. Click here to see a summary of the upcoming changes.